This just happened to happen, after a somewhat complicated sequence of coincidences. and than the previous posted thing happened when I played it. But this happened before that. The zoom was an amazing coincidence too! I think the universe just triple folded in on itself and did a backflip. so that is why my knee hurts! 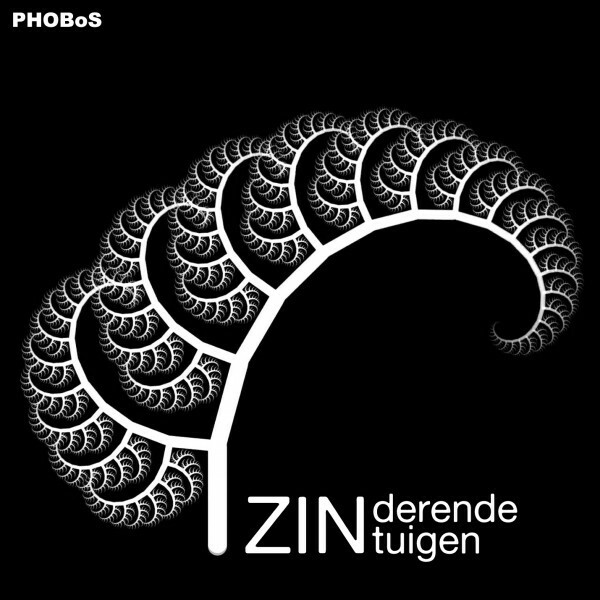 Here's some artwork for Zinderende Zintuigen. I might do one for "Attractors and me" too, or maybe jan wants to do it. Thanks for sharing this track, BlueHell! I'm really into the detuned drone sounds. Maybe I'm prying too much but I'm oh so curious as to what those are comprised of. Banks of detuned sine waves? Its got that disorienting yet relaxing vibe thats quite tough to create with straight tuning. Thanks for your comments Digiton. Wow very cool. 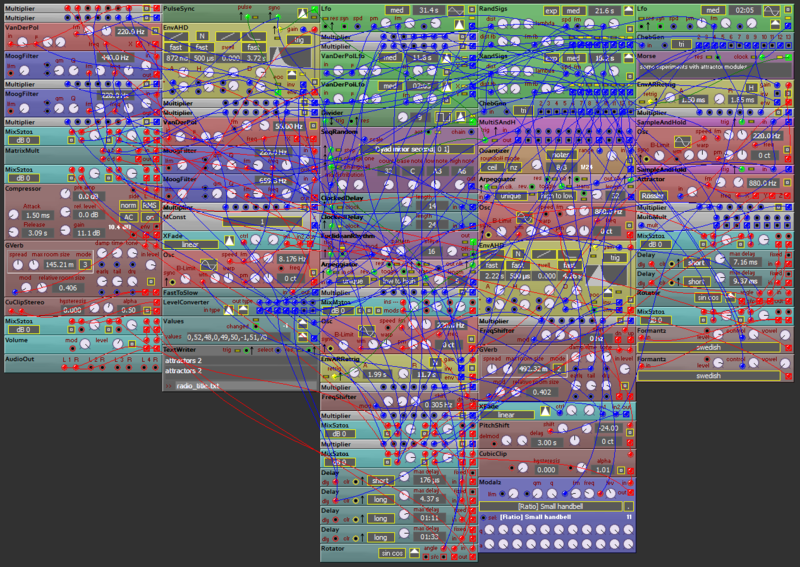 I do a lot of work in MaxMSP so this somewhat familiar . What software is this? Or is this just a virtual graphic of your analog hardware setup? It is a patch in Wren, my modular soft synth : http://www.bluehell.nl/wren/forums.html : using mostly only that one lately .. its not the best .. but it's mine and I can change whatever I don't like or add anything I need - and can find out about how to program it).